Winx Club: The Complete Original First Season, a tale about friendship, magic and fun, follows six fashion-forward best friends - who also happen to be fairies! Residing in both a magical universe and Earth, the fashion-loving fairies unlock mystical adventures and battle against darkness, all while helping Bloom find out about her mysterious past. "Winx Club" currently airs on Nickelodeon. Winx Club is without a doubt one of my daughter's favorite series. 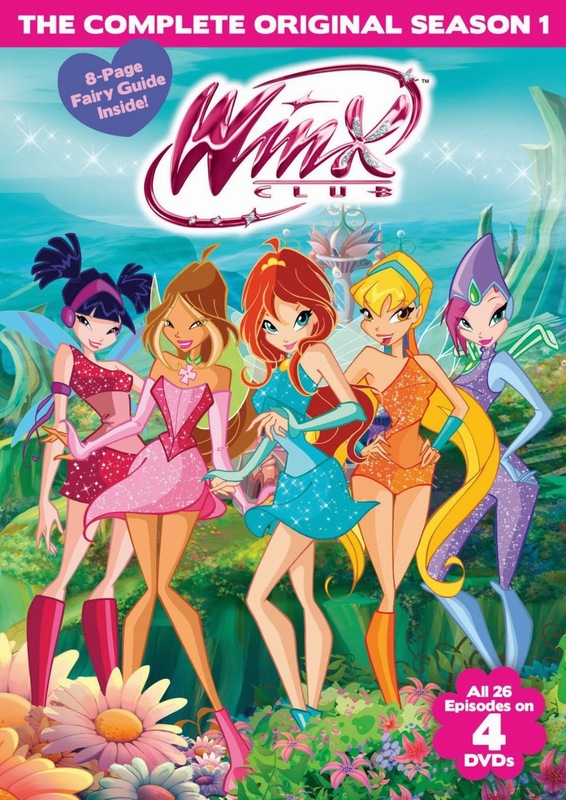 The Winx Club: The Complete Original First Season DVD Set contains 26 episodes on 4 DVDs. For a young girl who adores Winx Club, owning all of the episodes from season 1 was definitely exciting for her. Besides finding the story lines interesting, my daughter also loves the character designs. She thinks it's great that these fairies use their magic power to battle evil. To buy the DVD set we received to review, please go to Amazon.com. Many thanks to Nickelodeon, one of my lucky readers will get to win the first season DVD set as a giveaway prize. This giveaway ends on April 2nd, 2014. I would like to win this for my daughter. She is a big fan of the Winx Club. I would love to win this for my daughter I think she would really enjoy it. I would love to win this for my niece also! She would love to own this! My daughter is a huge winx fan! I would love to win this for my oldest niece. This would be great for my step daughter. She would like this show. Thanks! I would like to win this because I think my daughter would really enjoy it! My nieces would love this show. I would like to win this for my daughter.. I know she would enjoy watching it. I would like to win this for one of my co-workers--her daughter loves this! Thanks for the contest! I want to win this for my daughter because she is a big fan of the Winx Club. I would like to win this for my daughter. She really likes this show. i would love to win these for our family. we would really enjoy them. Looks like fun for my daughter who likes fairies! I'd love to win this for my niece for her birthday.